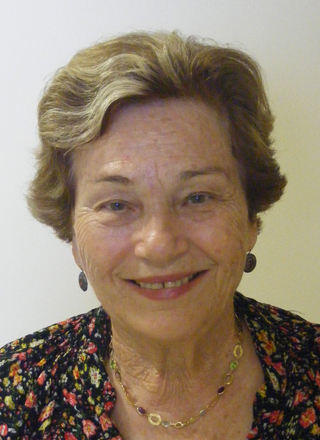 Personal and professional background: I was born in Haifa, Israel, the daughter of Herman (Zvi) and Batia Hertz. My current family includes my husband Prof. Reuven Lazarowitz and our three children Nurit and her husband Raz, Neer and his wife Shaun, and David. We have six wonderful grandchildren. After finishing my studies at a religious high school in 1958, I entered Ephrata Teachers College in Jerusalem, graduating in 1960 with a teaching certificate. I was a schoolteacher and a counselor at an elementary school for children with special needs. Parallel to my teaching career, I pursued my university studies. In 1971, I completed my Bachelor of Arts in Counseling and Psychology from The Hebrew University of Jerusalem's in Haifa, that was in those years a branch of the Hebrew University. In the fall of 1971, I entered the graduate program at the University of Texas in Austin to study Educational Psychology. I specialized in social and developmental psychology and received my MA in 1973 and a Ph.D. in 1974. During my studies I held an assistant instructor position at the University of Texas in (1971-1974). I have been part of the faculty of Education at the University of Haifa since 1967, first as a student and from 1974 as a faculty member. I began as an Assistant Professor and reached the rank of Full Professor. My sabbaticals as a visiting professor took me to different universities and research projects. I spent the 1980-1981 academic year at Bingham Young University in Provo, Utah, working on observational studies in science classroom using various methods of instruction In 1987-1988, I was a visiting professor at the University of Southern California working with Norman Miller on cooperation and interaction in small groups. In the summer of 1987 I joined my husband at the University of Curtin in Perth, Australia. In 1992, I was at The University of Texas at El-Paso working with Prof. Margarita Calderon and Prof. Robert Slavin on literacy development in bilingual schools using BCIRC and in 2000-2001 I was affiliated with the Department of Psychology's social personality program at the Graduate School of the City University of New York (CUNY). I returned to CUNY in the 2004-2005 academic year, as well as spending part of that year in Cuba and in Italy. My recent sabbatical was at my own University and again at CUNY. In CUNY I worked with Michelle Fine and others on understanding Youth hyphenated Identity development. My areas of research and publications are based on theoretical and applied principals of cooperation on many levels: Cooperative learning in schools; Family- School-Community partnership, large system action research, and contact and cooperation between diverse groups within the framework of work on empowerment and change. In 1979 I was one of the founders of IASCE -International Association of the Study of Cooperation in Education which is still an active and growing international association. Daily life in Israel, in the mixed city Haifa, and in the University of Haifa campus my home both personally and professionally, provides a unique social laboratory setting for the study of Arab-Jews relations. Thus I am interweaving my teaching, research and public activities into models of Cooperative Participative Action Research. . I am involved in this work via my studies, focusing on issues of coexistence and conflict relations between Arab (Muslims, Christians and Druze) and Jews from different ethnic groups. Identity and political development, as well religions and religiosity have been connected in my work in recent years to gender and women's empowerment. I am blessed with students and colleagues in Israel and abroad who have created a special academic community. Since October 2008, I have been an Emeritus Professor, and have enjoyed continuing my former academic work and exploring new frontiers in poetry writing. My published works reflect the richness of the context in which I live and work. It includes many conference presentations, over one hundred and fifty articles and chapters and eleven books. This work has been published in Israel, Europe, Australia and the United States - mainly in Hebrew and English, but also in Italian and French. More information is presented in the relevant category.